Property 7: Atmospheric and spacious apartment nearby Kaprun, with wellness. Property 16: Spacious holiday home with a large terrace and a lovely balcony. Property 31: Studio Apartment Ian + Summer card + free guest parking & unlimited fast Wi-fi. Property 36: Quiet and cosy apartment with a magnificent view! Property 37: Modern apartment with sauna and sunny location. 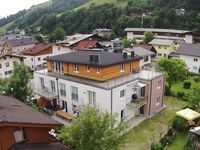 The exclusive in Heiligenblut - Apartment "Suite Edelweiss"
Property 42: The exclusive in Heiligenblut - Apartment "Suite Edelweiss"
TOP PRICE PERFORMANCE! Exclusive, modern apartment in a central location! 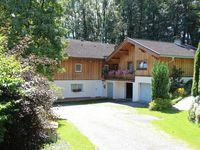 Property 46: TOP PRICE PERFORMANCE! Exclusive, modern apartment in a central location! One-of-a-kind penthouse with stunning view in the picturesque Piesendorf. Property 47: One-of-a-kind penthouse with stunning view in the picturesque Piesendorf. Property 48: Luxuriously decorated apartment with wellness nearby Kaprun and Zell am See. Arrival without any Problems, accomodation was well prepared, clean and everything we needed was available.